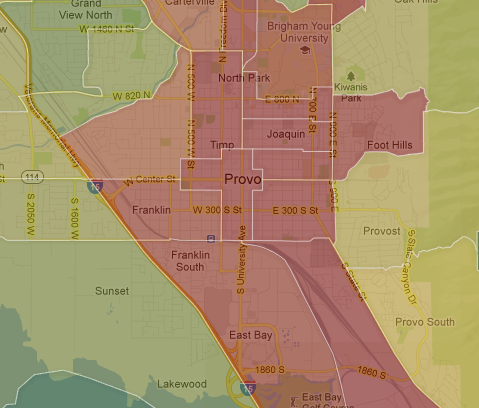 For sure Provo has a large areas of lower income population, but the way you cropped the image of Provo also leaves out some large chunks of Provo with higher income populations and instead places them in the Orem image. That’s fair. I tried to zoom in equal amounts on all three images and the point was really to show concentration, not distribution, but inevitably there will be sections of overlap. 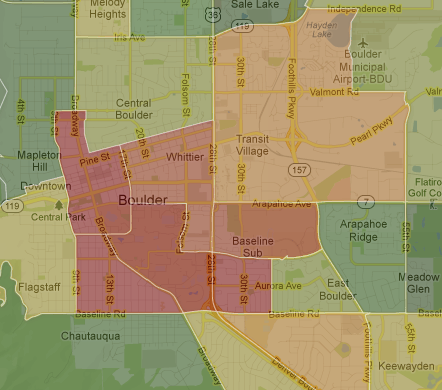 Both areas of Provo and Boulder in red are older homes on smaller lots, ideal for younger (lower income) households. 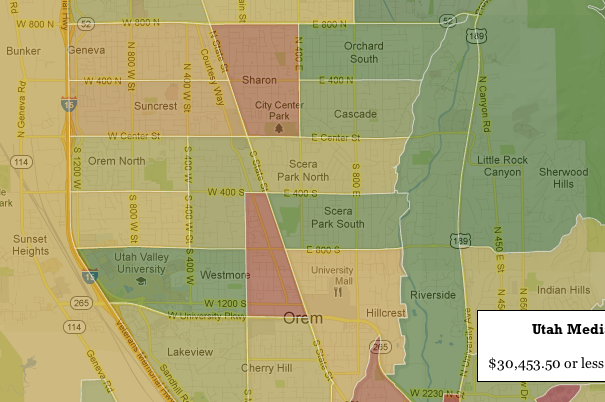 Im leery of any map that identifies poor as a product of income. The amount of money you have is not as important as how you control it. Who cares about the specific amount of income on a block. Resources matter, not the amount of money. Also, as long as the census identifies “poor” as the bottom quintile of wage earners you will always have “poor” no matter how high income levels raise.